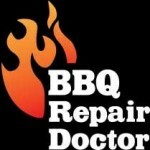 Professional and affordable BBQ repair in Clairemont! HIGHLY RATED! We do professional BBQ repair in Clairemont. 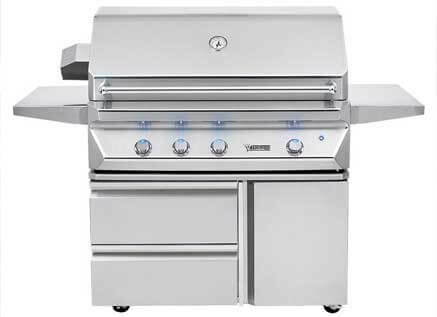 Our company is specializing in all brands and models of BBQ repair including Alfresco, Capital, DCS, Fire Magic, Kalamazoo, Lynx, TEC Sterling, Thermador, Twin Eagles, Viking, Weber, Wolf. If you are in need of BBQ repair, BBQ cleaning, and BBQ restoration services, we can help. Our team is factory trained and certified. We will diagnose your barbecue, find the right parts for it and will carefully install those parts. We will make sure that your grill is not only functional but is also safe and clean. After an appointment with our company your grill we are as good as new. We guarantee it! 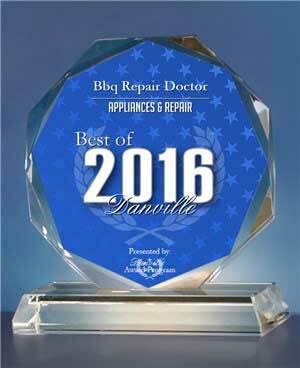 BBQ Repair Doctor has a long history of helping people out with their outdoor appliances. For more than 30 years we have been repairing barbecue grills, patio heaters, pizza ovens, outdoor refrigerators, commercials, charbroilers and other outdoor appliances. We serve Clairemont, Los Angeles, Ventura County, East Bay and San Diego. Whether you have a gas BBQ, a charcoal BBQ, an electric BBQ, a portable BBQs or a smoker BBQs we can help you with any of those. It does not matter how complicated a problem might be or how big a project is. We like challenges. Our team has been working for years with restaurants and catering business doing commercial appliance repair. Also, we are on top of the latest technology in grilling and kitchen appliances. We have superior technical skills and will make your appliance repair appointment fast and convenient. In fact, your convenience is our number one priority. That is why we have flexible scheduling system. We will work on weekends and afternoons if it’s better for you. Before starting any job, we give you an accurate estimate. Also, a service call is FREE with repair, and we have a 30-day full warranty on parts. With those perks, you can be sure you are getting the best deal on service from a trusted company. Please check out our annual discounts on our home page. If you are looking for a BBQ repair in Clairemont, give us a call at 858-433-0703. We will answer all of your questions and will put you on a schedule with one of our BBQ repair specialists. He will often preorder the parts genuine parts and get ready to do to your house. Once he is at your, our repair technician will get to work right away. He will take your barbecue grill apart and thoroughly inspect it. He will find the problem and inform you about the plan of action. Usually, it involves changing broken and worn parts. Often, our technicians carry all the necessary parts with them. Once parts are installed, he will put it back together. It’s very important to make sure that a professional is doing this job because if something is not put back right, the grill might not work or even can be dangerous. Not only do we make sure everything is working great, but we also check your grill for safety issues. Before handing you over the final product, we make sure to plug it in and run it. After the job is complete, you get a grill that is fully functional, safe and clean. Your food will taste better, and your whole grilling experience will be more enjoyable! 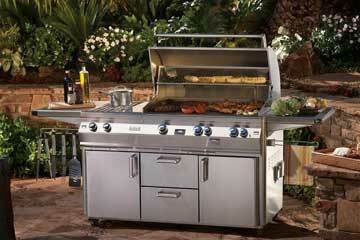 You should pick us to do BBQ repair in Clairemont because our technical skills are superior to any other company. 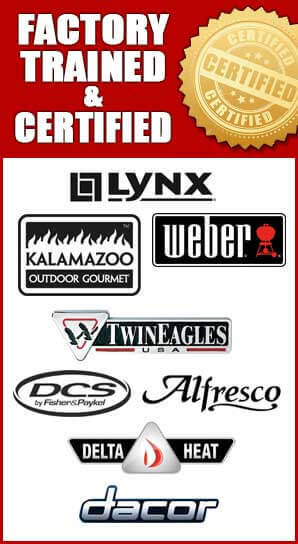 Our technicians have been vetted and certified by top BBQ grill manufacturers. They know their job well and will do an outstanding job for you. Also, they will be polite and respectful. Excellent customer service is important to us. We want to make the whole experience as convenient as possible for our clients. Your grill is in good hands! We would love to help you with all of your BBQ repair in Clairemont needs! Please call us at 858-433-0703 schedule an appointment or ask a question. Or fill out our short online form. We would love to hear from you and answer all of your questions.